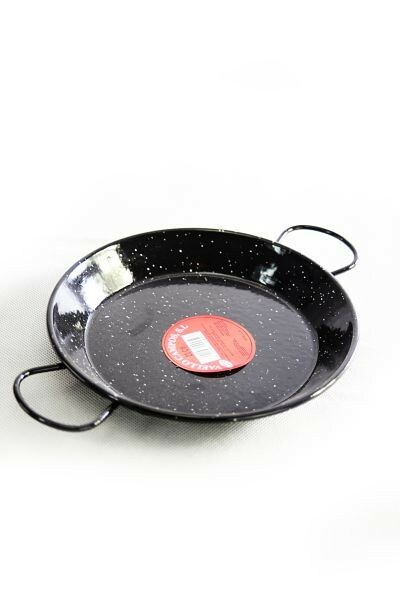 Typical Spanish paella pan for up to two people. 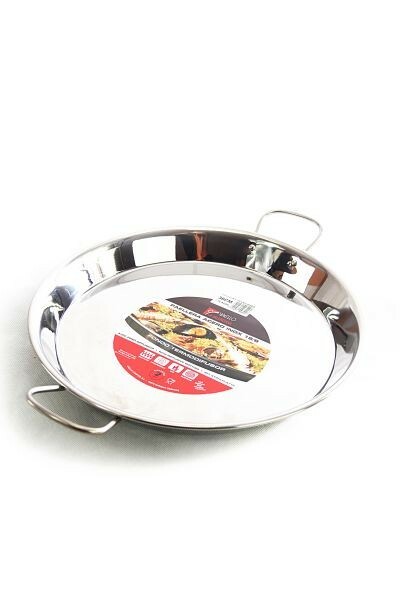 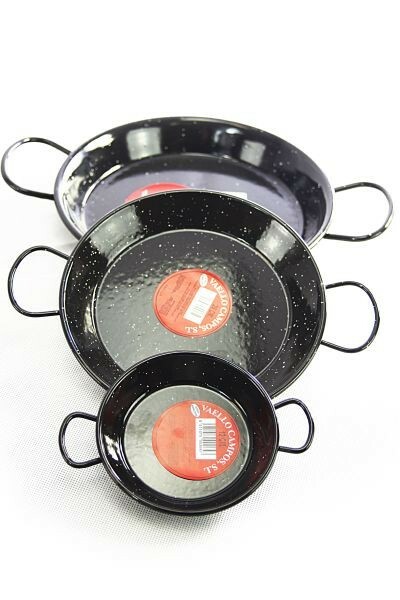 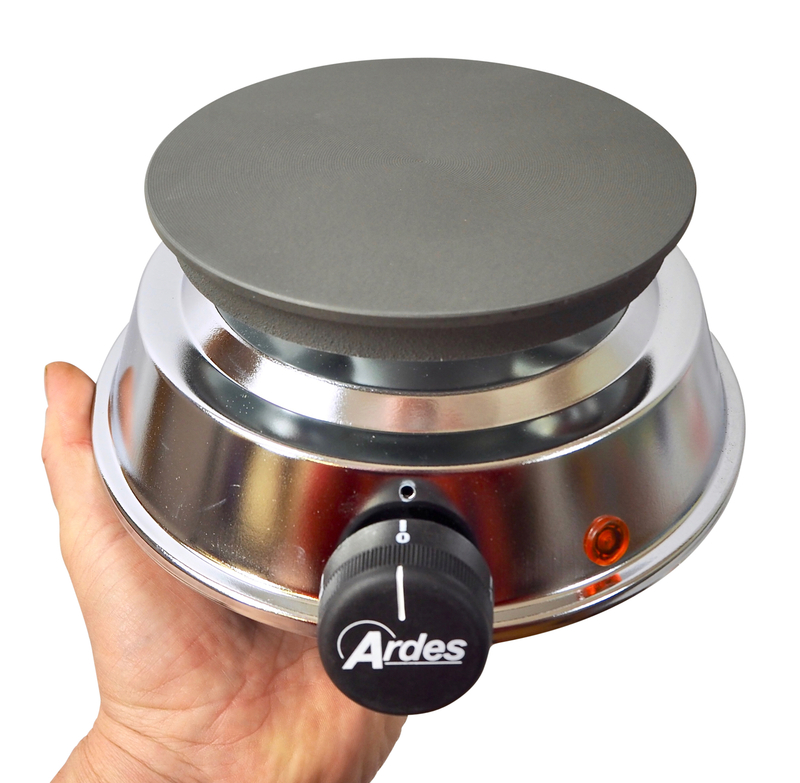 Sturdy and easy to clean enamel and just the right thing for cooking and serving authentic paella. 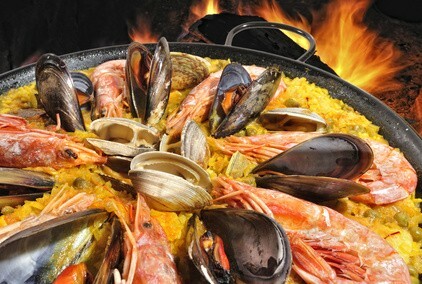 Original Spanish pan for cooking, frying and arranging typical Spanish rice specialities, like Paella Valencia. 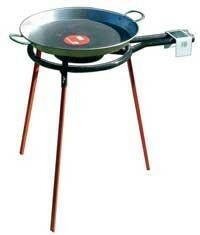 This size is ideally suitable for up to two people, maybe even three. 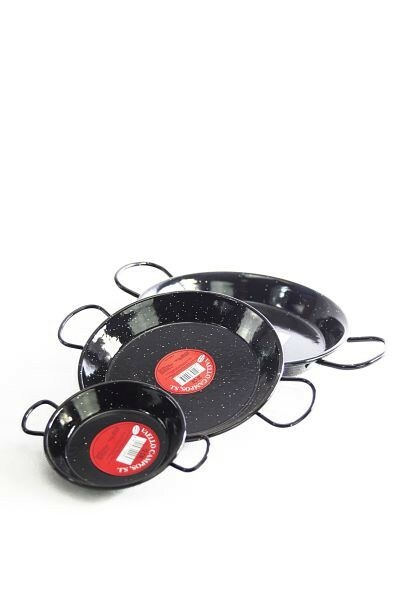 This easy to care version will not rust due to the enamel coating. 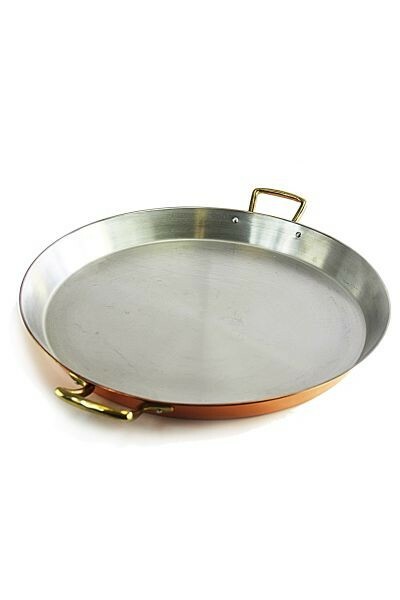 The simpler paella pans made of iron have to be regularly oiled and start to rust quickly. 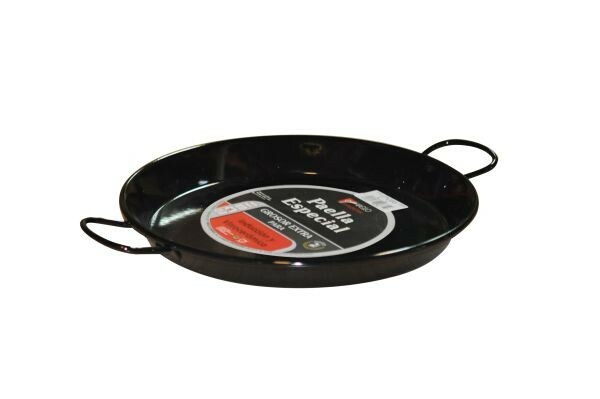 With this coated original you can start cooking immediately.